If your roof is old, leaking, rusty or even hazardous, then you should consider replacing your roof before your property suffers from water damage. Replacing your roof will bring you many benefits including increased property value, better visual appeal, enhanced insulation, and improved protection from the elements. If you’ve begun your search online for terms like, ‘Roof Replacement Brisbane‘, ‘Re Roofing Brisbane‘ or ‘New Roof Brisbane‘, then talk to the team at Strongguard today. When it comes to Brisbane roof replacements, Strongguard are the experts. We offer new roofs, installed by our own team of specialists. Our roof replacements are customised to meet the unique needs of homeowners and business owners across Brisbane. With over twenty years experience, we can replace rusted metal roofs, damaged tile roofs, asbestos roofs and anything in between. Your new roof will prolong the lifetime of your home and it’s designed to last for fifty years. This means you can improve the looks of your home well into the future. With a new roof over your home or business, you can stop worrying about leaks or maintenance. Instead, you can enjoy all the benefits of your new roof. To bring you the best in quality and finish when re roofing your home, Strongguard only uses the best materials. We’ve been in operation for over twenty years and we’ve earned our reputation for quality workmanship. During this time, we have gained valuable insights into what it takes to effectively reroof a home. Our suppliers are the most reliable and consistent in Queensland, which means you are guaranteed quality every time. In fact, some of the materials that we source come with a warranty of up to 36 years. Some of our favoured roofing materials include COLORBOND® and ZINCALUME® Steel, which we source from companies including LYSAGHT and Queensland Sheet Metal. These products are designed to withstand the harshness and unpredictability of Brisbane’s summer climate. 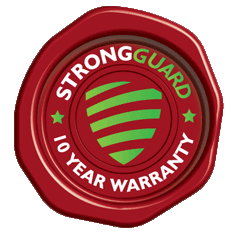 In addition to the product warranty, Strongguard offers a ten-year workmanship warranty. This means that both the materials and their installation are protected. Our team of experts offer unrivalled workmanship and attention to detail. For the best new roof Brisbane wide, contact the Strongguard team today. The roof replacement process involves several important steps that must be done perfectly. 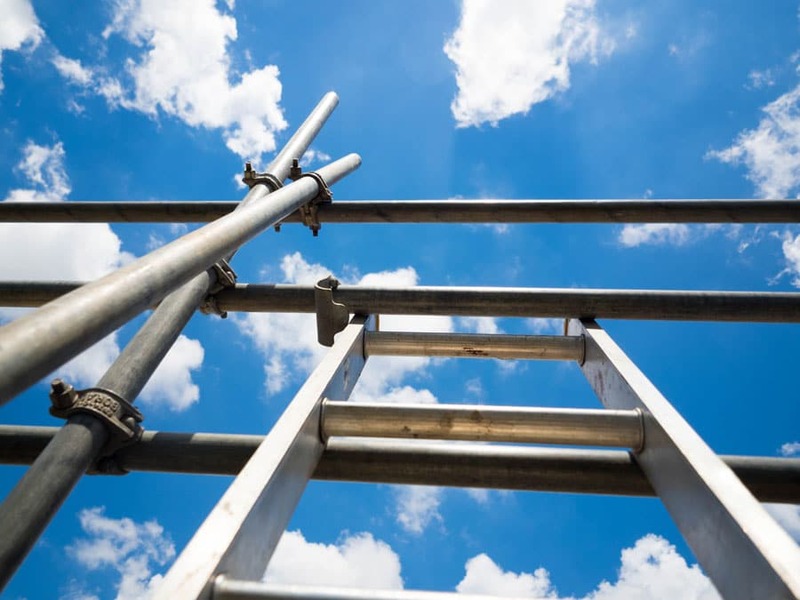 To ensure that you get the best quality roof replacement, the team at Strongguard have developed a step-by-step procedure. This procedure is aimed at providing great quality control and the best finish for your new roof. To commence our roof replacement process, we begin by measuring your roof. This is done by one of our dedicated estimators, who specialise in site measurements. The measurement is important for several reasons. Firstly, it allows us to minimise waste and letting us give you an accurate and competitive quote. Secondly, it gives us a thorough understanding of your roof and any potential pitfalls, allowing us to provide an efficient project timeframe. You can take some time to consider your quote and if it appeals to you, simply let us know and we confirm a time for the project to begin. At the beginning of the replacement project, we will establish a worksite by setting up safety guard rails (for highset homes). We make sure that this is done in accordance with workplace health and safety guidelines. Our team will then start removing your roof in manageable sections. This ensures that the building remains secure and weatherproof. If any asbestos is present, our licensed Brisbane roofers will remove it safely, in alignment with government guidelines. As we remove each section of roof, we will check the supporting structures and repair or strengthen them as necessary. Finally, we will begin the installation of your new roof. 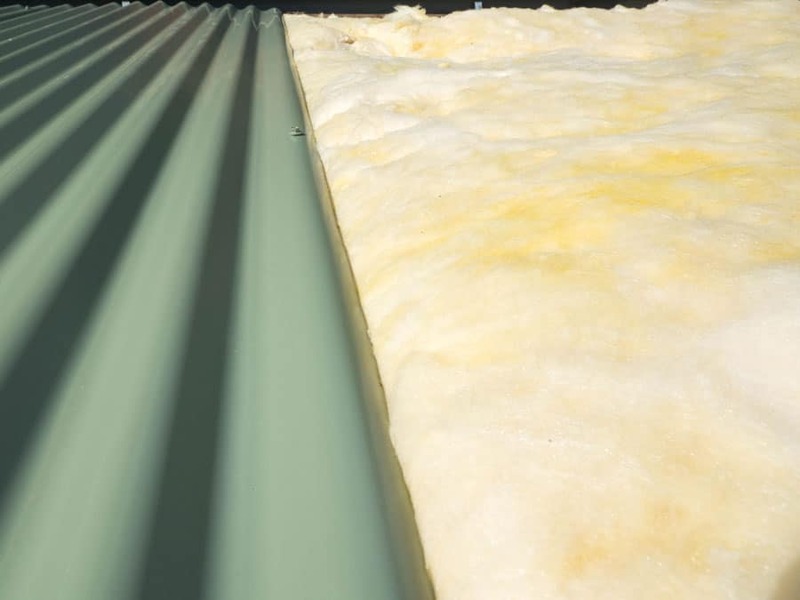 We normally start by installing new anticon blanket or batts as insulation, if you need it. This will ensure that your home is warm in winter and cool in summer. Once this has been done, we can install your new roof. The new factory cut roof sheets are installed, complete with new scribed ridges, valleys, flashings and fastenings. At the end of the roof replacement, we will remove all rubbish from your property and make sure the site is tidy. To bring a new dimension of design and visual appeal to your home, you should consider a roof replacement. Simply contact the team at Strongguard online or over the phone, and we can arrange for a site measure. One of our expert estimators will happily measure up your roof and provide you with a quote for its replacement. We are happy to help – so get in touch today. #1 How long will a Brisbane roof replacement normally take? The precise period of time taken for your Brisbane re roofing project depends largely on the size of the job. For an average Queenslander-style home, re roofing normally takes around 3-4 days. Of course, larger homes or commercial buildings can take longer, so have a chat to our experts for a more accurate idea. Another factor that can have an effect on the length of the project is the type of roof in question. There are several types of roofing that are common throughout Brisbane. This includes metal roofs, tiled roof and even asbestos roofs. These all require different approaches when it comes to re roofing, so some can take longer than others. This is particularly so when it comes to asbestos roofs. Asbestos is a very hazardous materials and dealing with it requires special licences and training. We have several qualified asbestos tradesmen, so you can rest assured that you are in safe hands. In cases involving asbestos however, it might take a little longer to replace your roof. #2 Do you use Australian steel for your Brisbane re roofing jobs? Here at Strongguard, we insist on using only the finest quality materials for all of our roof replacement projects. As a part of this commitment, we only source Australian steel for all of our Brisbane roof replacements. Our steel comes from BlueScope steel, which offers unrivalled quality and durability. Because of Brisbane’s climate and weather, we won’t take the risk with imported or inferior steel, using these could mean that your roof will require far more attention and maintenance if it is not of the highest possible quality. As well as offering great durability, BlueScope steel also looks great. With great corrosion resistance, you don’t have to worry about your BlueScope roof getting any blemishes or rust patches. Finally, using BlueScope steel helps us support Australian industry and assist the local economy. #3 What will happen if it rains during the roof replacement? It is not uncommon for rain to come without warning in Brisbane. That is why we take several steps to ensure that your home is secure for the entirety of your Brisbane roof replacement project. We will weatherproof your roof while it is being replaced and our team is constantly monitoring the local weather radar. This allows us to get a bit of a head start if any rain does come your way. As we remove each section of your roof, we make sure that we are in a position to put it back on if the weather does change. We only remove a section of roof if we are certain that we can safely get it back on in time. With Strongguard, you don’t have to worry about your home becoming vulnerable during the reroofing process. We have your best interests in mind throughout the process and we will be sure to protect your home from the weather. #4 Will you remove all rubbish and ensure that my new roof is tidy? 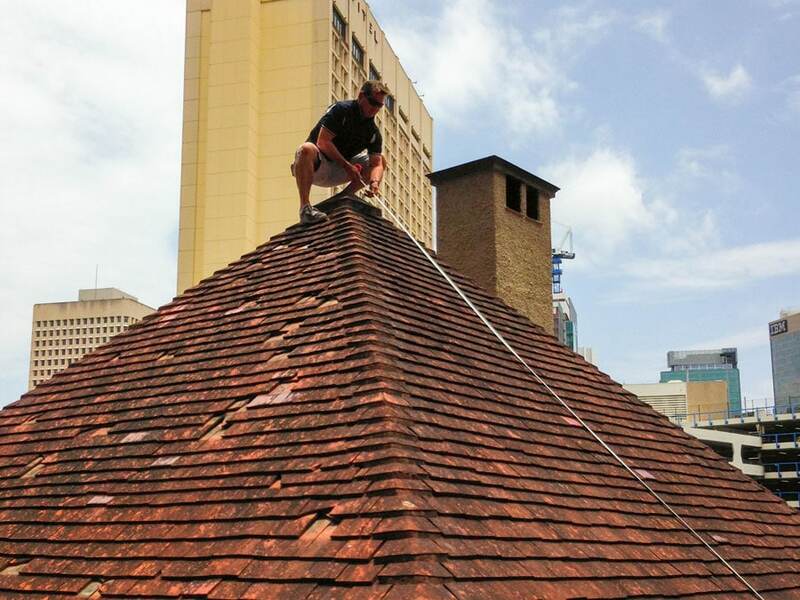 When we install your new roof, we make sure that your property is left clean upon completion. When it comes to disposing of old roofing, we are sure to do so in a responsible and environmentally friendly manner. Old metal roofs are recycled, wherever possible, to ensure limit unnecessary consumption of roofing materials. If asbestos is present, then we take a very careful approach to disposal. Dealing with asbestos involves a great deal of care and only authorised professionals can do so. Here at Strongguard, we have licensed tradesmen who know how to manage asbestos safely. When disposing of asbestos, we make sure that we follow all of the government’s health and safety guidelines. This means that both you and our workers are protected against the hazards of asbestos. It is vital that you do not attempt to dispose of any asbestos yourself. Play it safe and call the experts at Strongguard.